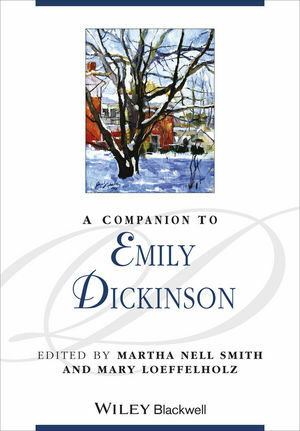 This companion to America?s greatest woman poet showcases the diversity and excellence that characterize the thriving field of Dickinson studies. Martha Nell Smith is Professor of English and Founding Director of the Maryland Institute for Technology in the Humanities at the University of Maryland. Her numerous publications include three award-winning books – Open Me Carefully: Emily Dickinson’s Intimate Letters to Susan Dickinson (1998), Comic Power in Emily Dickinson (1993), Rowing in Eden: Rereading Emily Dickinson (1992) – and over 30 journal articles. The recipient of numerous awards for her work on Dickinson and in new media, Smith is also Coordinator and Executive Editor of the Dickinson Electronic Archives projects at the Institute for Advanced Technology in the Humanities (IATH) at the University of Virginia. Mary Loeffelholz is Professor and Special Advisor to the President for Faculty Affairs at Northeastern University. She is the author of From School to Salon: Reading Nineteenth-Century American Women’s Poetry (2004), Experimental Lives: Women and Literature, 1900–1945 (1992), Dickinson and the Boundaries of Feminist Theory (1991), and of a number of essays on nineteenth-century American poetry and culture. She is also editor of Studies in American Fiction and of Volume D, Between the Wars: 1914–1945 in the seventh edition of the Norton Anthology of American Literature.